The fun football table game. 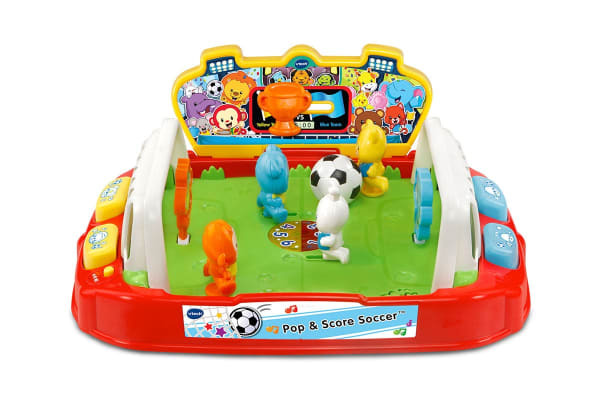 Introduce your kids to the game of football with the Vtech Press & Score Football. With four press buttons, kids get to learn about animal characteristics and football phrases as they play. 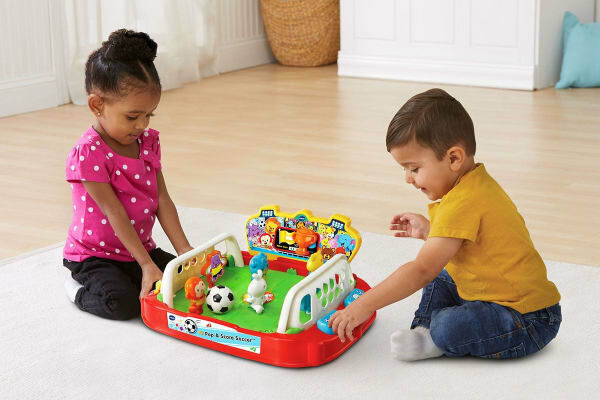 The Vtech Press & Score Football features a light at the centre of the circle to promote visual awareness. You can choose between two team colours and start your game with the included plastic football. Beat your opponent and score more!